A.I. Artificial Intelligence is a futuristic story about a young robot boy and his dream of becoming real. The story is set at a time in the future when global warming has caused oceans to swallow up the major coastlines of most countries. Robots are also manufactured as humanoid beings who can be programmed to work or perform household duties. The story begins with the Swinton family taking desperate measures to replace their sick child. The Swinton's decide to use a prototype robot who is designed as a child. The new prototype is programmed to display human emotions, such as love. The new robot is named David. David forms a bond with his new parents which is disrupted when their real son is cured. The Swinton's no longer have a need for David, who is extremely upset over having to leave his family. Mrs. Swinton, having developed a fondness for David, decides to leave him in a forest rather than return him to the manufacturer. David is soon captured by a group of humans who use abandoned robots for entertainment. They pit the robots against each other in an arena where people pay money to watch the events. David makes friends with some of the robots captured by the humans, one of which is a male robot named Gigolo Joe. During a chaotic event at the arena, David and Joe manage to escape. David dreams of becoming a real boy and being in a family. He decides to go on a quest to find the blue fairy because she turned Pinocchio into a real boy when he asked her to. In addition to the main storyline, the graphics used in the movie create interesting features and interactions for a lot of the humanoid robots. There is a girl David befriends at the arena, who has half of her face covered with synthetic skin so it looks human, but the other half is missing. A.I. 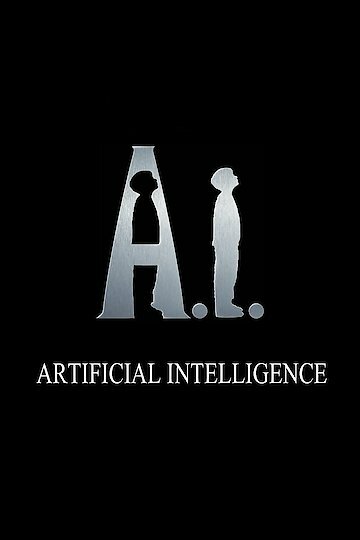 Artificial Intelligence is currently available to watch and stream, download, buy on demand at Amazon Prime, Showtime, Hulu, Sling, Amazon, FandangoNow, iTunes, YouTube VOD online.